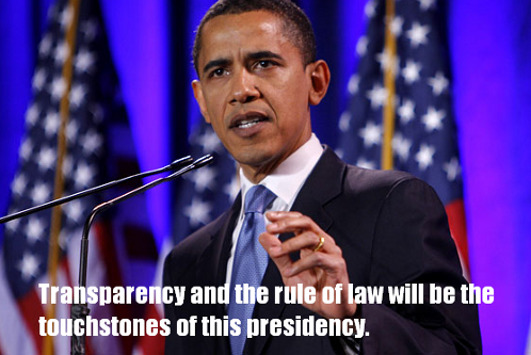 Obama's lies, contradictions and hypocrisy are becoming almost legendary. Not even Burger King has sold us more whoppers. Yet, the media for the very most part still props him up. The perpetuated story line there for our consumption is that the media is just protecting their liberal brethren and the Democrats in Congress are doing the same. And people buy that bologna, mesmerized by the slick talk and Madison avenue propaganda we are fed with a spoonful of cinnamon. Speak out and show FACTS of a conspiracy born not only in secret societies but also in open venues like the United Nations (not to mention the pit of hell) that is meant to bring the greatest nation on earth to it's knees...from within, and get that 'okay, you're a wing-nut kool-aid drinking bigot and how dare you be so politically incorrect!' look. Hitler has been quoted as saying, "By the skillful and sustained use of propaganda, one can make a people see even heaven as hell or an extremely wretched life as paradise."